This year, we’re expanding the reach of our trend reports to include business. But lots of themes crossover with our culture reports—the increasing focus on the environment, cautious optimism for Vietnam’s future, and the country more and more becoming the focus of global interest. So, in this, our first business trends report, we’ve reached across industries to include advertising and communications, manufacturing, investing, import and export, and real estate. 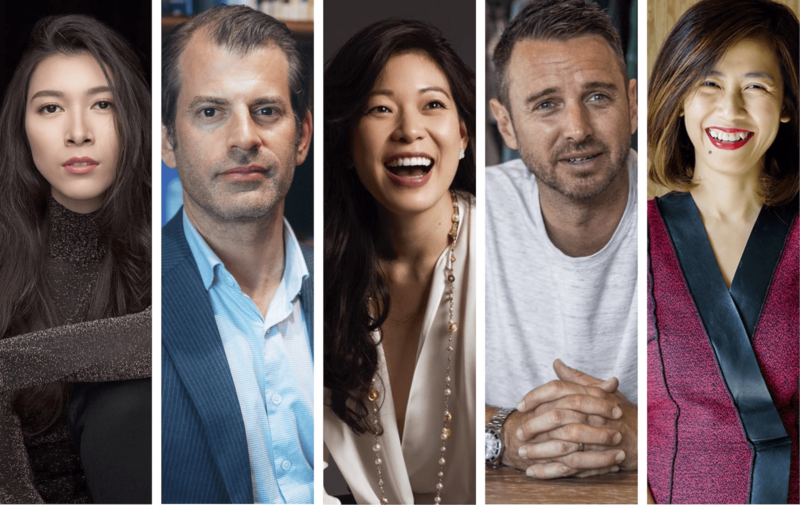 Read our five expert’s thoughts on what happened in 2018, and their predictions for the year ahead here. Last year, branding agencies in Vietnam recognised the power of content with large companies like The Purpose Group opening their own content studios. Plus there was a proliferation of smaller boutique creative studios opening up. All this is being driven by predictions that digital will account for as much as 50% of money spent on media by companies in 2019. So, after a momentous year where she received personal and professional recognition for her achievements, we asked The Purpose Group’s president, Giang Nguyen, for her perception of business trends in branding in 2018 and 2019. What trends stood out in your industry last year? A number of trends stood out. The first was the lifestyle trend towards healthier living—with a focus on diet and weight management, exercise, and work-life balance. I think we all also realized the vibrancy of youth through the success of Vietnam’s U23 players, and through a number of successful companies helmed by millennials and generation Z businesspeople. In marketing, the impact of micro-influencers was recognized—influential people with small but dedicated fan bases. Marketing also employed the power of digitally gathered data with developments in omni-channel marketing and e-commerce. What was the most meaningful moment for you in 2018? I’d choose two: one personal and one for The Purpose Group. The personal one was being selected as “Woman to Watch 2018.” It’s recognition for my philosophy of truly caring for every little detail when operating a business. The most meaningful moment for The Purpose Group, was the establishment of the Children Of content studio. Content is king for today’s marketers. And Children Of is a platform that gathers local local talent and provide them with a playground to create world-class works with highest level of craftsmanship. We believe that the future lays in the hands of daring creators. Already noteworthy projects include “The Harvest of Dreams,” about the entrepreneurs behind The Coffee House, and the hit song “We Are The Rising Kings” sponsored by Budweiser that celebrates Vietnam’s footballing spirit. How about projects by other companies in 2018? Which ones stood out? I enjoyed seeing the meaningful application of technology towards social causes. Vulcan Augmetics is a good example. The startup emerged with a vision to create affordable prosthetic care for people with disabilities in Vietnam. The Coffee House also impressed me. They’re the fastest-growing coffee chain. And even more impressively, they’re founded and operated by local millennial entrepreneurs. That’s proof of the capability of young Vietnamese to develop a solid business concept, and to brand and operate it. What do you foresee the key trends in branding and marketing in Vietnam being in 2019? Imagine it’s the end of the year. Can you give us 2019 in review? 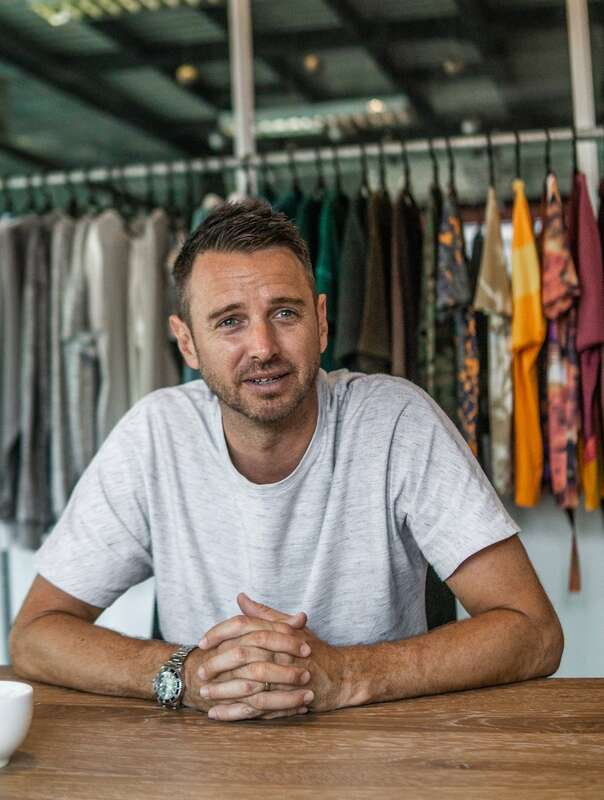 In Saigon’s District 12, a 500-staff garment manufacturers is producing clothes for some of the world’s most hyped brands. Un-Available make clothes for brands like skate brand Palace—who recently collaborated with Ralph Lauren. The company have grown from a bedroom business to this through a philosophy of proudly made-in-Vietnam products that are high-quality and delivered on-time. For us, fashion was about big bold colors, oversized prints, and maximalism. There were lots of over-the-top oversized cutting, that tended towards the avant garde. I get the feeling that younger generation are a little more willing to go all out and push the boundaries. What was the most meaningful moment for you and your company? At Un-Available, last year was about efficiency. We analyzed every single aspect of what we do and asked ourselves if we could do it better. Another focus has been the environment—which tied to the idea of efficiency. We’ve been striving to reduce the waste we produce, material, energy, water, and even time. We want to make less negative impact on the world around us. It was inspiring for me to see our team pick up on the idea and really run with it. Which projects by another company stood out? Why? Collaborations were a major trend. The biggest moment for me was when our main customer, Palace, did their collaboration with Ralph Lauren. Everything blew up for about four weeks. The entire collection of 10,000 units sold out in minutes; then it was being resold again within the hour many times higher than the retail price. It was Ralph Lauren’s first collaboration in their 51 years in business. How will 2019 be different? What will the key trends be? I think we’ll see brands push the envelope even more. There’ll be more all-over prints, and mad techniques being applied to garments making them almost unwearable for most. Tie-dye will make a comeback. So will corduroy, and styles that reference early ‘90s rave will make an appearance as things get loose and baggy. Imagine it’s the end of the year, give us 2019 in review. Prices at Western retail outlets will continue to fall, or at least stay stagnant. At the same time prices in the East for labor, fuel, and rent, for example, will rise making it difficult to do business for any company not getting better at what they do. I also think we’ll see major brands grow their never-out-of-stock ranges (NOS), the basic or core lines that are their revenue backbone. The revenue from these lines will be core to their survival. There will be a continued decline of multi-brand independent stores driven by labels looking to open their own physical retail stores to control their image and look of their products. Online sales will continue to be reclaimed from big retailers like ASOS as brands try to bring that business back to their site to gain better margins. The Vietnam-based private equity firm, Mekong Capital, are market leaders with a broad portfolio of investments—from education to consumer products. Chris Freund helped found the company in 2001. Since then, Mekong Capital have completed 33 private equity investments, and their signature approach sees them building management teams and instilling best practice in the fast-growing companies they gravitate towards. In 2018, Vietnam saw a sharp increase in venture capital activity, especially small investments of $200,000 to $2,000,000, and typically in tech-related businesses. This is part of a larger ongoing trend in Vietnam in which entrepreneurship is being celebrated, and many young people are aspiring to establish new businesses rather than join existing companies. For Mekong Capital, 2018 was a year in which our team made huge breakthroughs in moving towards higher levels of performance. The team continues to strengthen their capability to implement each aspect of the vision driven investing framework at our investee companies. This has allowed me to step back and focus more on strategic and big picture initiatives, while also being mentor for many of our team members. The other huge achievement for us in 2018 was a rapid digital transformation within Mekong Capital. It was led by our Director of Business Engineering, Chris Shayan. All kinds of processes are now automated within Mekong Capital, with real-time dashboards and performance analysis tools, which have enabled us to optimize our performance. Which other investment company’s work stood out? Why? The investment into Topica Edtech Group by Northstar really stands out for me. We had an opportunity to invest into Topica several years ago but we missed it. Now, that looks like a mistake. Topica seems to have executed well, is growing fast, and is well positioned in the broad market trend of the privatization of education in Vietnam. The general trends of the rising middle class, growth in consumer spending, and growth of the financial sector will continue. Without any external shocks, it looks like 2019 will be another good year for Vietnam. The biggest risk I see is that political instability in the United States and tensions with China could escalate into military conflicts. In fact, there is a historical pattern called Thucydides’s Trap, which indicates that there is a high probability of a war between the United States and China, and it will take strong leadership, cooperation and open communication to avoid this scenario. I believe Vietnam would generally try to stay out of a conflict between the United States and China, but this could lead to uncertainty and risk in the whole region, and Vietnam would be right in the middle of it. Imagine it’s the end of the year. Give us 2019 in review. I can’t predict the short term, but I do have some views on what Vietnam’s longer-term future will look like. While Mekong Capital is still working on developing our full vision for Vietnam for 2025, Vietnam’s middle class will develop into one of the most robust in the world, due in part to high levels of home ownership here. This means that Vietnam will be much more economically and politically stable than countries that have an extreme concentration of wealth among the rich and a struggling or shrinking middle class (like the United States). The private sector will continue to grow quickly, due in part to a lot of entrepreneurial activity by young people who have studied overseas or worked at foreign companies before setting up their own businesses. Vietnam will emerge as an early adopter of new technologies, similar to China, but leapfrogging many other countries that are slower to adapt. And there will be major changes in Vietnam’s educational system to give schools and parents greater choice over curriculum, and the result will be a shift towards more student-centric teaching methodologies. Finally, Vietnam will provide more global leadership in issues of concern like climate change and the UN Sustainable Development Goals. Some of this will see Vietnam leading by example. Vinawood is Vietnam’s leading wood blind manufacturer; and Crystal Lam is the company’s managing director. She grew up in the United States, knowing a move to Asia was inevitable. Her adventure-seeking nature led her to Vietnam, where the chance to impact the wood industry attracted her during a period when so much attention was turning to trending industries like technology and fashion. From an operations perspective, there has been a substantial shift of manufacturing facilities from China as a result of the headlines surrounding the Trump tariffs. The most attractive destinations are in Southeast Asia: Vietnam, Thailand, Indonesia, and Malaysia. At the macro level, it will be interesting to witness how the influx of foreign owned entities will contribute to employment, talent development and productivity in the ASEAN region overall. Among the countries surveyed for relocation, a significant number of firms prefer to establish operations in Vietnam over other jurisdictions. This is a strong signifier of the country’s competitive advantage, which is meaningful for all of us in the country. For Vinawood in particular, the most meaningful moment was collaborating with scientists to develop a brand new material for our product offering. We’ll be debuting it through a new collection this year. A firm’s environmental impact has always been a popular theme among consumers. However, as Vietnam’s reputation as a prominent destination for manufacturing strengthens, I foresee a new generation of Vietnamese talent who value working with firms that are environmentally conscious with respect to locally sourced material. Mindful individuals will identify with a company that not only produces a unique product, but does so whilst respecting the local province it originates from. Talent development will continue to be a hot topic for many firms. As the competitive landscape continues to evolve at a rapid rate, a firm’s ability to adapt will depend on the critical analysis, creativity, and collaboration of its people. At Vinawood, we believe in investing in our people and have tripled our training budget as a result. We have an exciting 5 year plan ahead of us, members of the Vinawood family are an essential element for it. Nguyễn Ngọc Mỹ (Sylvia) has been on a mission to expand the world’s international hotel brands into Vietnam. Leading Alphanam Group’s real estate and hospitality together with her brother, Sylvia opened two hotels in Danang in the past year with four more in the pipeline for 2020 and twelve under development and designing stage. With this growth comes great responsibility, and so the Alphanam Green Foundation was founded to promote corporate social responsibility initiatives throughout Vietnam. 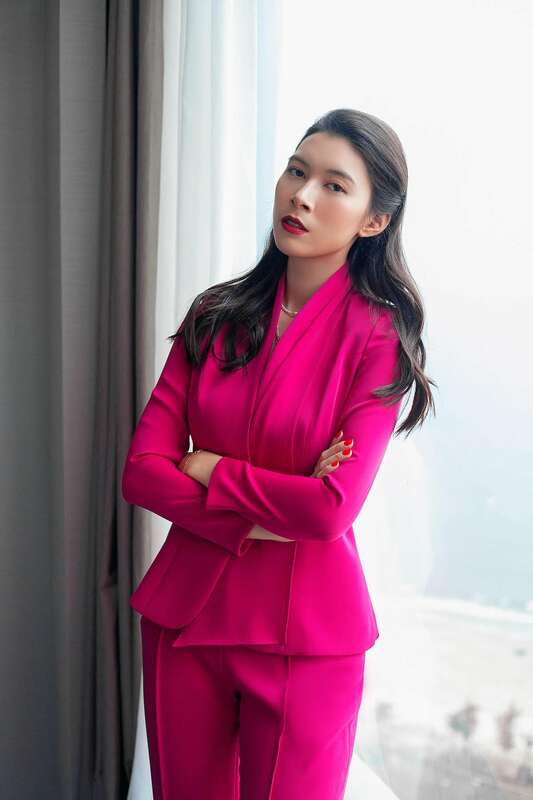 Her work has led to her being recognized as the youngest second-generation businesswoman to watch by Forbes Vietnam and a top 10 influencer for Vietnamese tourism by Time Out Magazine in 2018. Technology is also a trend that really shifted gears in the past years. Four Seasons launched their mobile app that allows direct chat through the app before and during your stay, making it a necessity for luxury products. “Going green”. In many countries and also in Vietnam, I see hotels removing plastic bottles, plastic straws, and other single-use plastic in general from their operations. From front of house to back of house, plastic is slowly being replaced by more sustainable alternatives. There are many small and big things we can do to consciously reduce our impact on the environment. As a developer, we always search for better practices in waste treatment and water treatment, and to reuse and recycle as much as possible. I’m excited to see how we can continue to push initiatives that limit our footprint both locally as well as internationally. Technology is also a trend that really shifted gears in the past years. Four Seasons launched their mobile app that allows direct chat through the app before and during your stay, making it a necessity for luxury products. Marriott Bonvoy (recently launched) took it to the next level by making it available for all of their hotels, enabling younger generations to get more things done while traveling. For example, I can order room service on the way from the airport to the hotel, and food is delivered as soon as I get into the room. To me personally, I most look forward to the year-end party before Tet. Unlike other companies, we work during the holidays. At the yearly event, I get to see everyone dressing up, get out of their daily uniforms, showing off their talents in the talent show, and showing support towards their colleagues in different hotels. They have spent the whole year creating meaningful memories for me and many others, this time I get to do something special for them. There are more than 10 nationalities working in Alphanam Group, so this event becomes a cultural highlight for them as well. Which projects by other companies stood out? Why? This year, one of my most favorite hotels would have to be the Intercontinental Wonderland by Shimao Group, China. It took 12 years and 5,000 people to turn a quarry into a spectacular hotel, with drones and laser shows every night. The hotel facilities include an underwater restaurant, underwater suites, a glass bridge, a mini children’s park, and very thoughtful water features in the lobby. It stood out to me because every step of the way, it was clear that the developer thought of the guest experiences, and was willing to go above and beyond to create that memorable touch. In terms of service, I was pleasantly surprised by the level of thoughtfulness at the Ritz Carlton, Hong Kong. At the end of the day, we are in the people’s business, and there are interactions that simply cannot be replaced by AI. The hotel industry is changing so rapidly after the Marriott-Starwood acquisition. Other operators are also acquiring and consolidating, which means more choices and better product quality for consumers, and better central costs for owners. In Vietnam, consumers are gradually becoming familiar with the large hotel chains and their platforms, they choose to stay at branded hotels for the consistency of service standards. 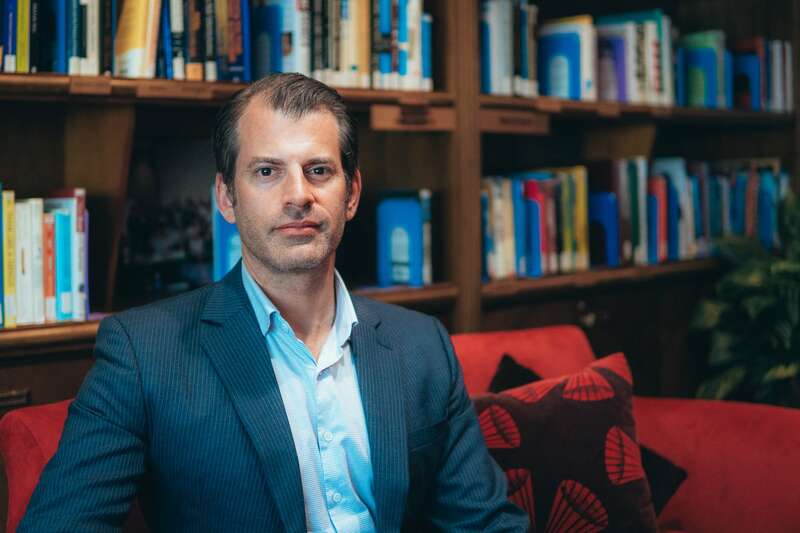 This means two things: boutique hotels will continuously improve their services in order to create a unique selling point, and design hotels will be the next wave after the business brands are in. Our next project in Danang includes the Aloft hotel, which is a sub brand of the W hotels. We are excited to work on a product that is completely geared towards millennials, with a big focus on technology and automation. Mobile plays a big role. Everyone will start to use—if they haven’t already—mobile check in, mobile concierge, mobile ordering, payments, and so on. We are not just going paperless, we are reducing the number of people needed for the same interactions. Soon, your phone will become the key to enter rooms in Marriott hotels worldwide. I imagine Vietnam to be climbing up the ranking in the world’s best destinations. We will continue to champion that ranking with better initiatives that protect our beautiful environment, and initiatives that unite the industry in a collective effort to improve the tourism experience in Vietnam.